Occupational Therapy focuses on the life skills each individual needs for their life, across the environments where they spend time. Barriers to accessing typical experiences are overcome by modifying the task or environment, or teaching new skills, step by step. When working with people with cognitive disabilities, the OT brings knowledge of activity analysis to break down tasks into component parts, and to identify what underlying skills and/or adaptations are needed for greater independence and inclusion. 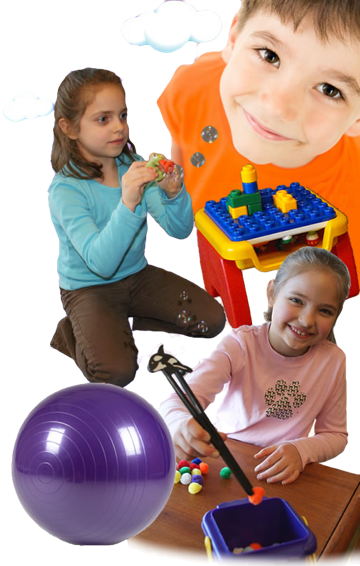 Corvallis Children’s Therapy Occupational therapy services include fine motor skill development for hand function, sensory processing support for a range of environments, and motor skills learning for leisure and occupational tasks. The emphasis is often on life skills for greater independence: manipulation and orientation skills for independent dressing (buttons, snaps, tying laces), money management skills including coin differentiation and value, food preparation skills such as using a knife to cut or spread or using appliances safely, recognition of traffic signs and rules for navigating streets safely, use of public transportation, and other independence skills for living at home and in the community. At Corvallis Children’s Therapy, goal setting for individuals is family-driven, according to the interests, priorities and daily realities of the individual and the family. Skill building starts where the individual is functioning and builds capacity from there, with support to families for additional opportunities as the skills advance.